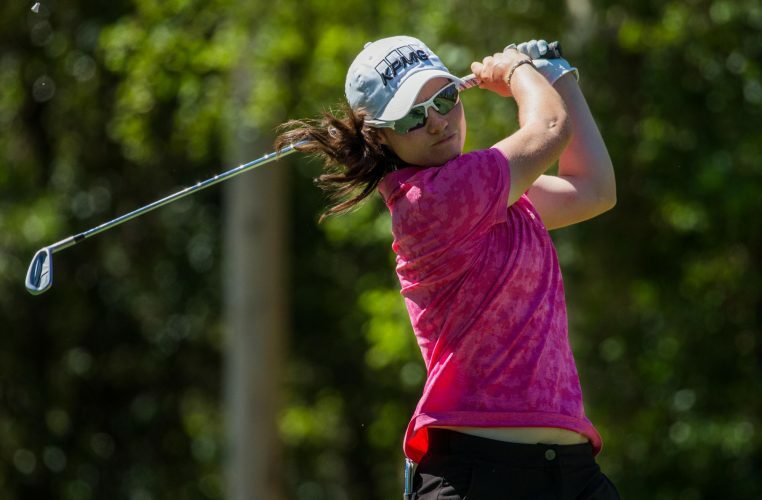 It wasn’t a matter of if, but when Leona Maguire was going to become a professional golfer. She first played on the Ladies European Tour half a life time ago, aged 12, in the 2007 Northern Ireland Open with her twin sister, Lisa. Now 24 and having completed a degree in psychology at Duke University, the Irishwoman finished fifth at tour school and is teeing up in her first event as a rookie professional this week at the Pacific Bay Resort Australian Ladies Classic – Bonville. Maguire feels ready to start her LET season. “I’m looking forward to it. It’s nice to start the year somewhere warm and good and I’m lucky that I have a good enough category to get into as many events as I want, which is a really nice place to start the year. I’m looking forward to seeing a lot of faces that I haven’t seen in a while, juniors and amateurs,” she said. A new face on the scene will be John Mulroney, her first-time caddie, who worked for Darren Clarke when he won The Open. Otherwise, nothing has changed since she finished fifth at Tour School at the end of the year. “I was at home for three or four weeks for Christmas and I stopped off in Dubai on the way here. It’s been the shortest off-season I’ve had, so I haven’t changed much. I’m happy with how it is and looking forward to getting started,” she said. Maguire will start her rookie season on Thursday, when she tees up with Whitney Hillier and Jenny Haglund at 8am.